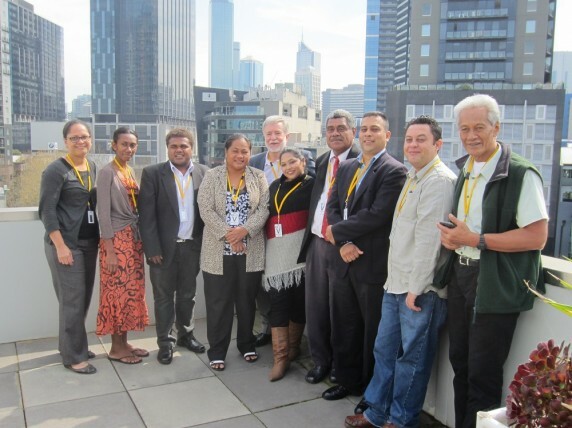 Eight senior journalists from the Pacific say they gained valuable insights into news reporting on electoral processes during a week-long program to monitor election coverage in Australia. 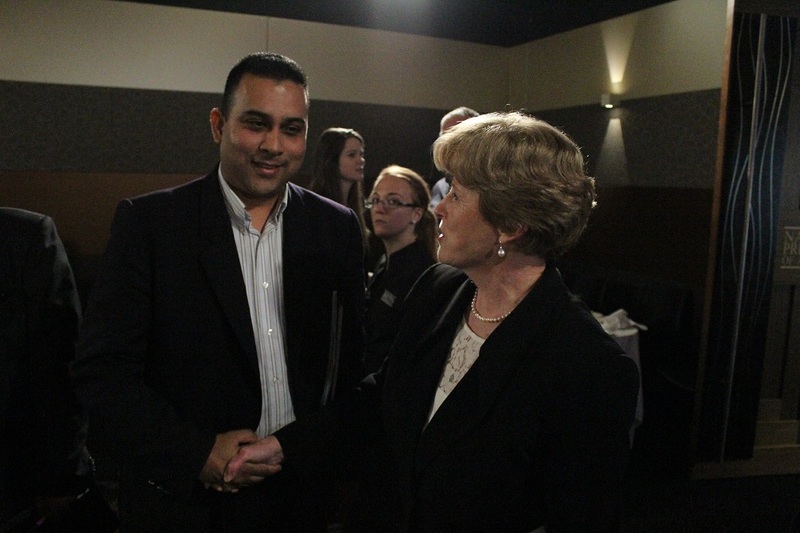 Vijay Narayan, of Fiji radio, speaks with Greens Leader Christine Milne. 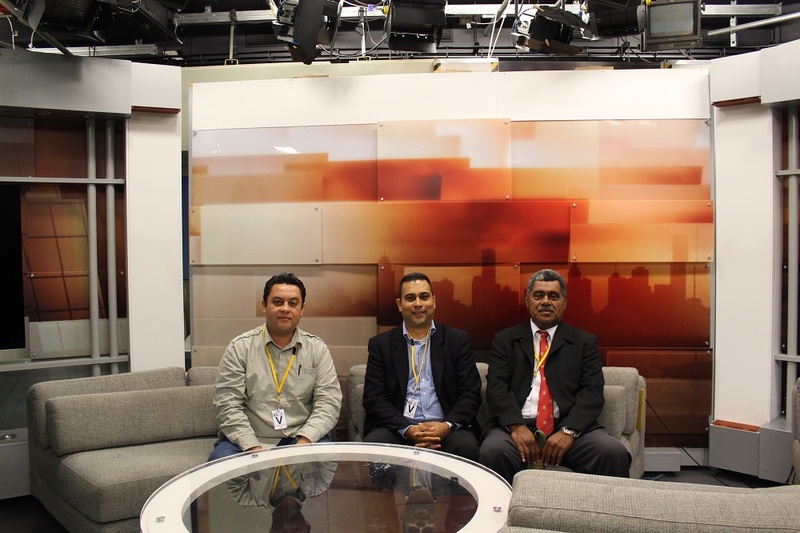 “It gave me, a journalist from Fiji, the chance to rub shoulders with the best of the best in Australia,” Vijay Narayan, news director at Fiji Communications Ltd said. 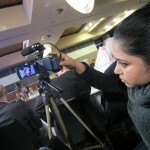 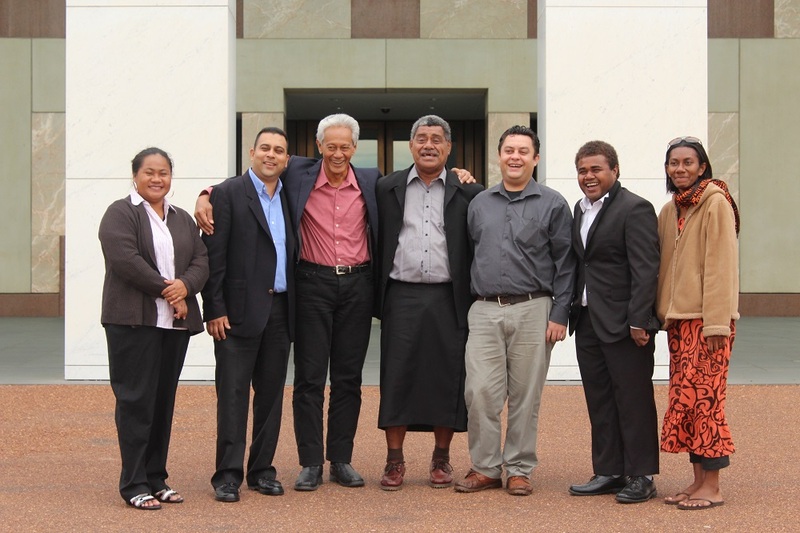 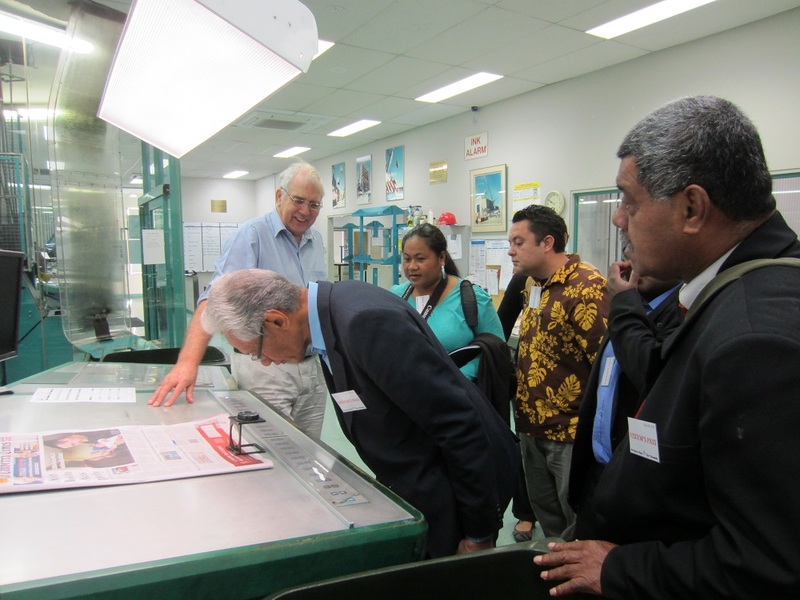 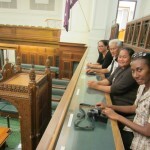 The journalists – from Fiji, Solomon Islands, Samoa, Tonga and Vanuatu – took a front-row seat to observe the lead-up to Australia’s 2013 federal election as part of the program coordinated by the Asia Pacific Journalism Centre. 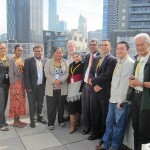 Group members blogged about their experiences in Australia. 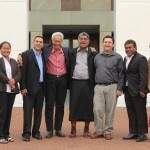 To read about their thoughts on the program, click here. 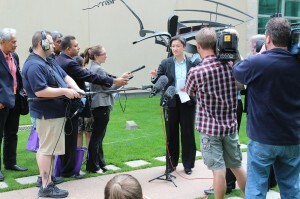 Among the highlights, the use of social media in mainstream election reporting piqued strong interest as the group met with ABC Canberra Correspondent Karen Barlow, who shared tips for tweets and communicating with audiences online. 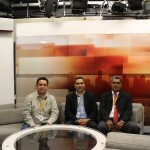 Visiting the ABC in Melbourne and Canberra, and joining the editorial team from The Canberra Times, the journalists could see how their Australian colleagues were applying multi-platform techniques to meet the challenges of reporting across vast areas. 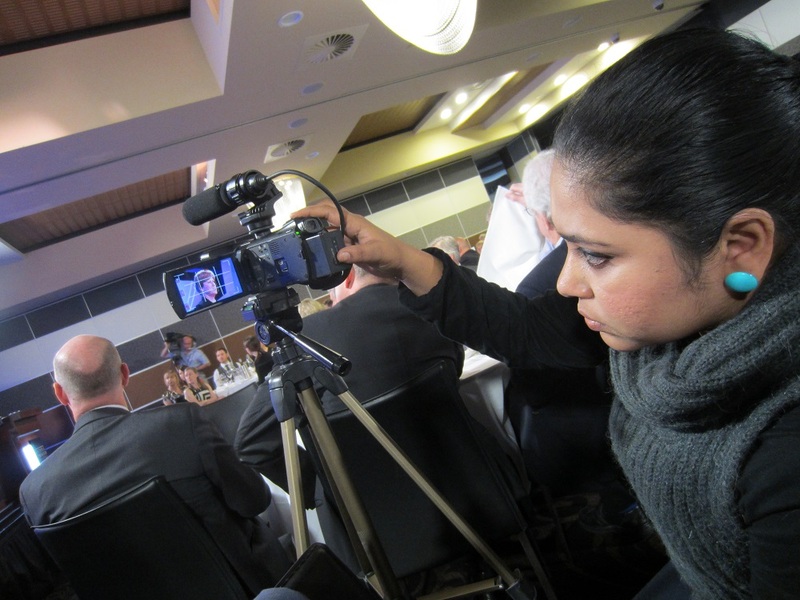 The journalists joined some of Australia’s most experienced reporters at the National Press Club, where they asked Greens Leader Christine Milne about Australia’s immigration policies in the Pacific. 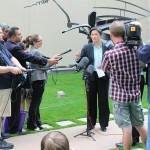 They also attended an impromptu press conference by outgoing Finance Minister Penny Wong. Participants join a press conference by Senator Penny Wong on election eve. 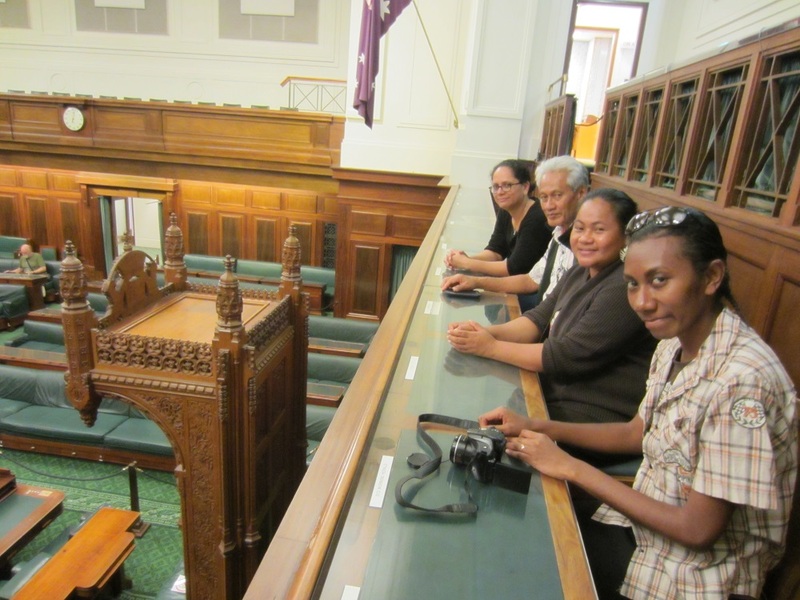 Discussions with the Australian Electoral Commission and a visit to the National Electoral Education Centre provided the group with important information about civic education programs and Australia’s electoral system. 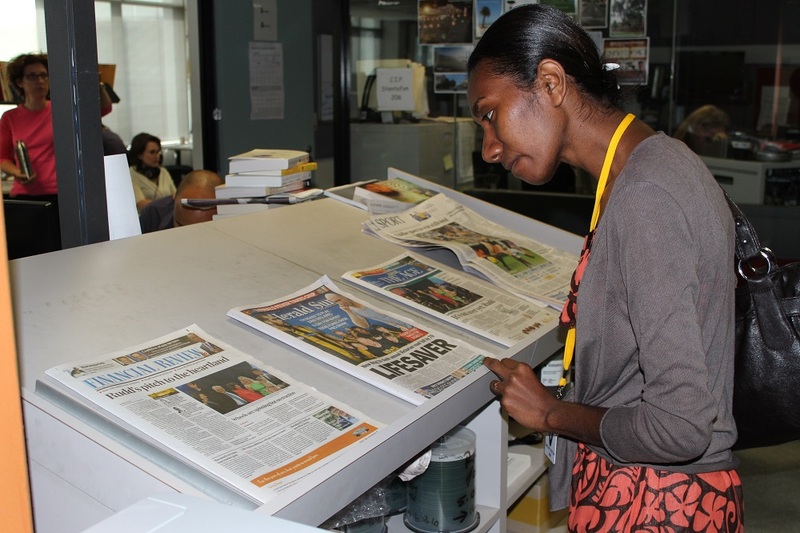 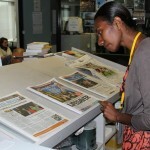 With Fiji, Solomon Islands and Tonga set for elections in 2014, the journalists say they return home with fresh ideas for their media organisations about preparing for and covering elections. 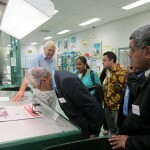 The program was funded by AusAID through the Pacific Media Assistance Scheme (PACMAS) administered by ABC International.